Firefox gives you an option for how you want to handle mailto links. The problem is, by default, you are only given options for two web services: yahoo and gmail. 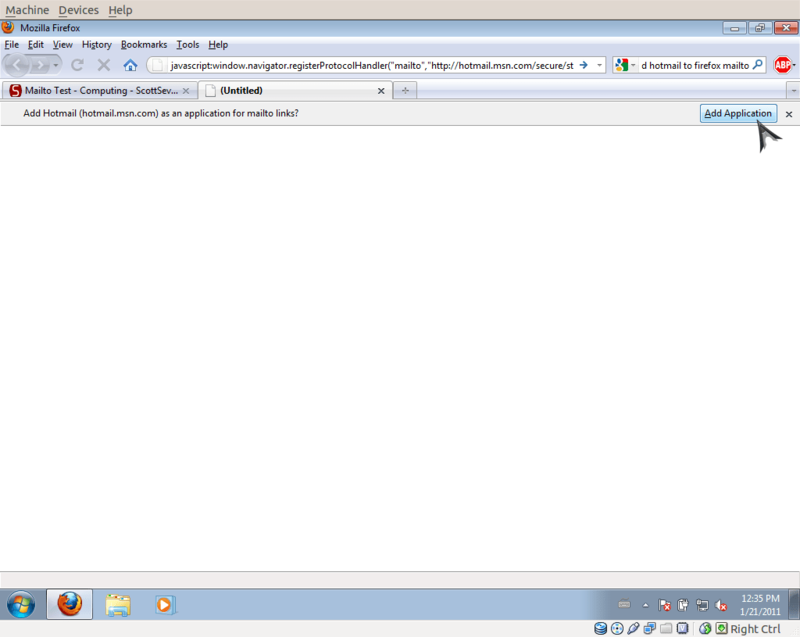 Open another tab or window, and in the address bar type: about:config. 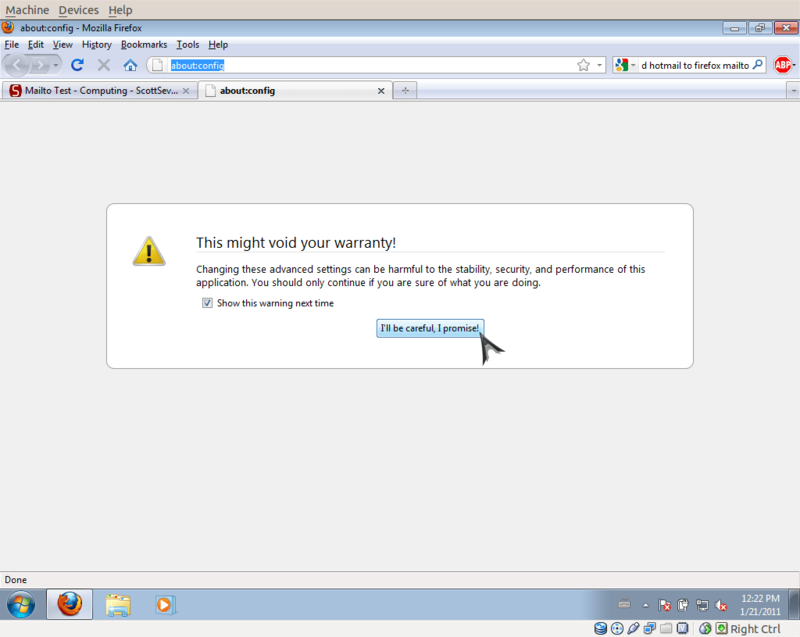 In the screen that appears, click the button acknowledging that you’ll “be careful”. Now, in the text box alongside “Filter:” type in gecko, and then double-click the first result that reads “gecko.handlerService.allowRegisterFromDifferentHost” so that it is set to “true” on the right. 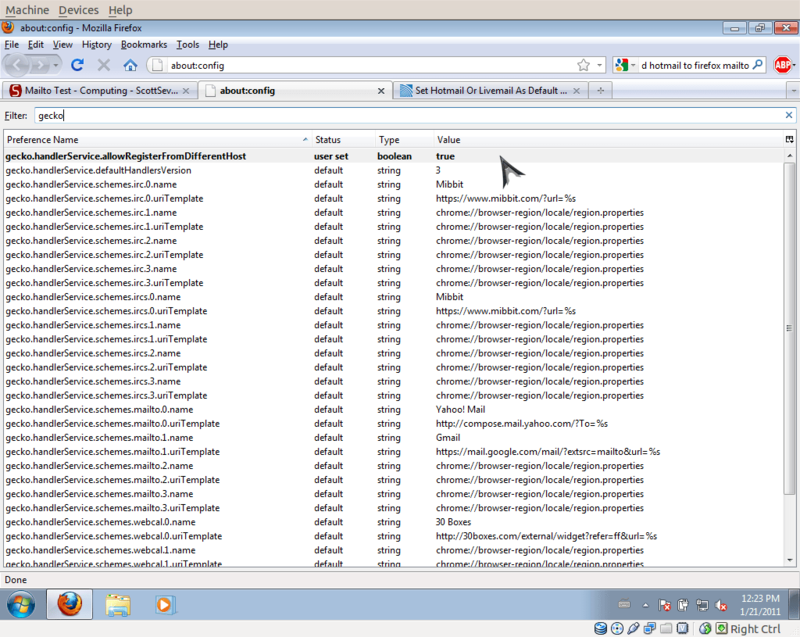 Close the about:config window or tab and open a fresh one. Firefox will ask for confirmation, so go ahead and click the button that reads “Add Application”. That’s all there is to it. Now mailto links will give you the option to use Hotmail. Robin: What version of Firefox are you running? Oh, and nice website. It doesn’t work for me either, using Firefox 8. 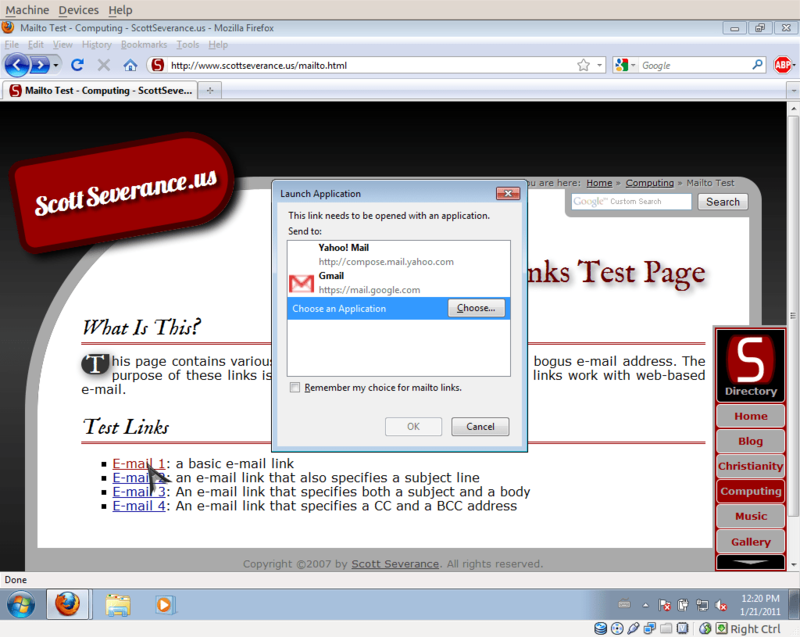 Pasting the link into the address bar has no affect and doesn’t bring up the option to add Hotmail. What am I doing wrong?! Thanks! It never worked for me before when I was cutting and pasting it to the address bar, but the CTRL SHIFT K did work. At first I didn’t think it was, but at the top of the screen Firefox was asking me if I wanted to let the website STORE DATA, i said NOT NOW. Then I was given the option to ADD APPLICATION to hotmail. These instructions don’t work for me. I’m running Win 8.1 on Dell Inspiron laptop. I was very careful and repeated the steps several times. I just installed Firefox the other day and still can’t use live.com.